The South Walton area is known for its food and wine festivals almost as much as its sugar white beaches. No wine festival has stood the test of time longer than “The Original,” the Sandestin Wine Festival. The 31st installment is scheduled to run April 20 to 23 in the Sandestin area, and includes four days of wine, spirits, entertainment, and even a little beach yoga. 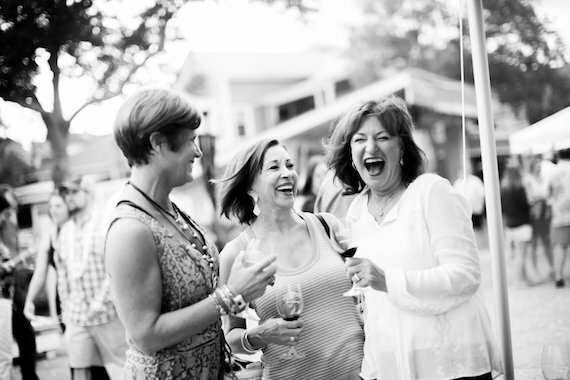 Join the fun at one of the longest running wine festivals in the Southeast. Festival early birds are invited to the Bourbon and BBQ kick-off party on April 20 at The Village Door ($25). Running from 6 to 8 p.m., local distillery Timber Creek will offer craft cocktails, while The Village Door dishes up barbecue samples. Baytowne Wharf merchants will offer special dinners and wine pairings each evening, and visitors who find a wine they can’t live without can pick up a few discounted bottles at the ABC Fine Wine and Spirits retail tent in the Baytowne parking lot on Friday, Saturday, and Sunday. 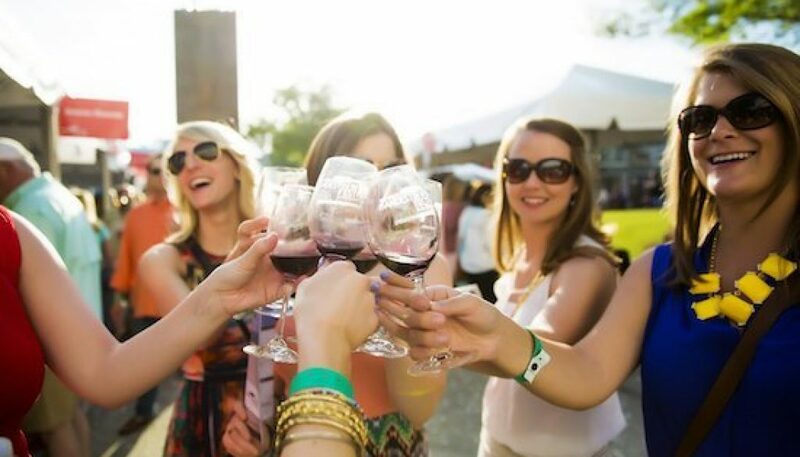 The highlights of the weekend are the Grand Wine Tastings, held Friday, April 21 ($55 presale) from 5 to 8 p.m., and Saturday, April 21 ($85) from 1 to 5 p.m. With more than 500 wines being poured, day-of prices increase to $65 and $95, respectively. Non-drinking guests may attend at no charge, but will not be issued a wristband or tasting glass. To keep wine-tasters going strong, food tents will be positioned throughout the grounds of the Grand Wine Tastings. Enjoy the culinary creations of featured chefs Dan Vargo of Hilton Sandestin Beach Golf Resort & Spa (Friday/Saturday), Gio Filippone of Vue on 30a (Friday) and Javier Rosa (Friday/Saturday/Sunday) of Sandestin Catering. Sandestin Events Manager Julie Stuckey is excited about the festival’s culinary offerings. Bites will also be available from Sandestin Banquets, Sunset Bay Cafe, Holy Cakes, Hartell’s Village Diner, and 30A Olive Oil. Stuckey said guests would find attending both the Friday and Saturday tasting events worthwhile. International wine aficionados might check out the Friday 4 to 5 p.m. seminar “Wine of South Africa,” presented by Simonsig Wine Estate’s Cellar Master Johan Malan. Held at the Baytowne Back Deck, seminar tickets are $30 each. A trio of specialty events rounds out the weekend. The second annual Champagne & Seafood Voyage ($90) sets sail from the Baytowne Marina aboard the Solaris from noon to 3 p.m. on Friday. The Saturday 9 a.m. Mind.Body.Beach session ($25) – presented by Spa Sandestin – combines yoga, mimosas, and the beach. Finally, Brunch on the Bay ($62.50) runs Sunday from 10 a.m. to 2 p.m., and features live music, sangrias, margaritas, and mimosas with brunch at the Marina Bar & Grill. 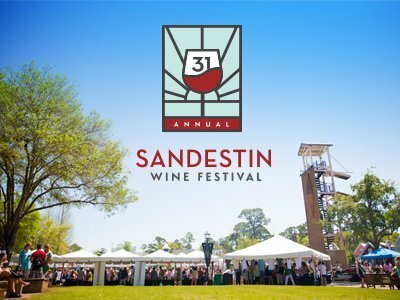 For event tickets, VIP opportunities, and accommodations discounts, visit sandestinwinefestival.com. Stay tuned to 30AFoodandWine.com for a more comprehensive look at this year’s featured vintners. 3 for 30a- Gulf Place is the Place to be!